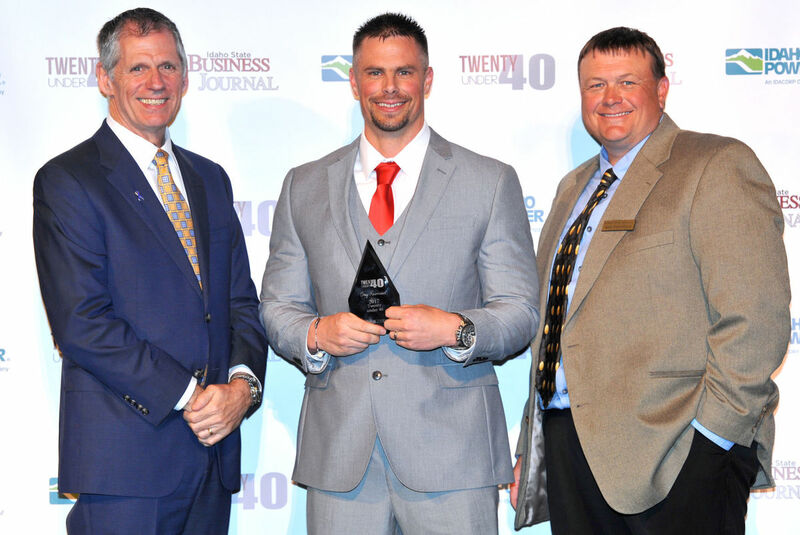 On Tuesday April 25 Corey Rasmussen was awarded one of the most prestigious awards given in Pocatello. 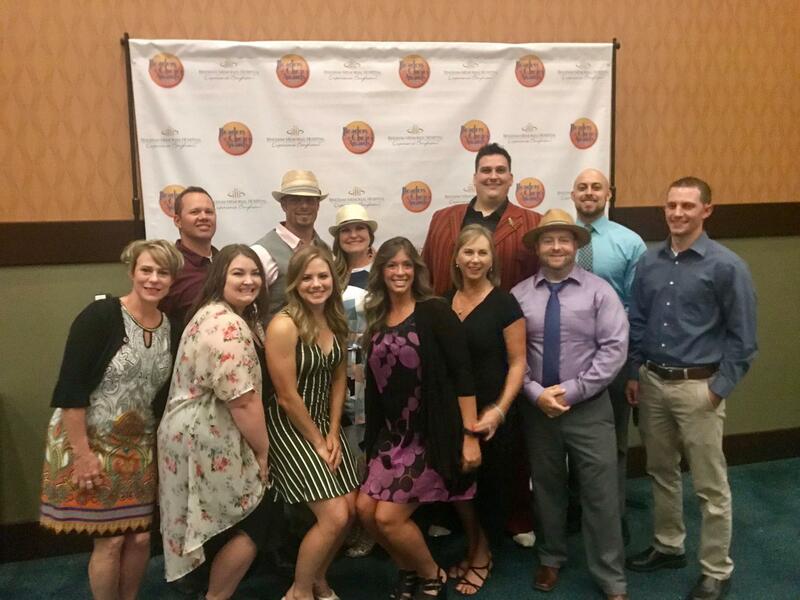 Hosted by the Idaho State Journal and signature sponsor Idaho Power out of 45 nominees Corey was one of the top 20 individuals recognized for his hard work and service within our community. 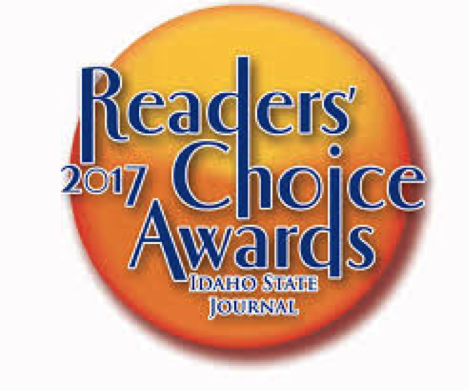 On Thursday July 27, 2017 Corey Rasmussen was honored at Idaho State Journal’s Readers’ Choice Awards as Pocatello’s #1 Physical Therapist. The event was held at the Shoshone Bannock Hotel and Events Center and was attended by many of Pocatello’s prominent business owners. 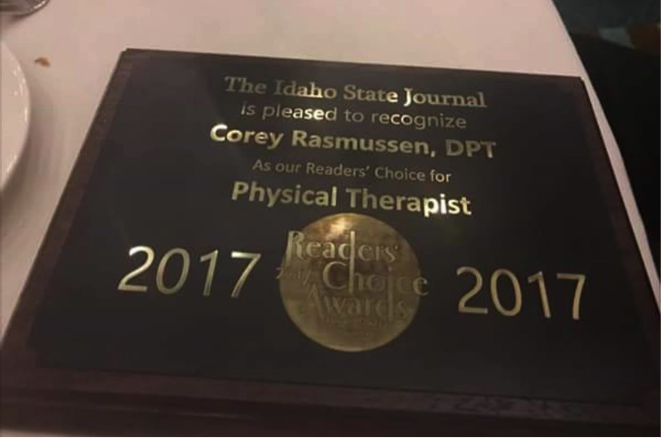 We found out a few weeks prior to the event that Corey was nominated as one of Pocatello’s favorite physical therapists. We knew had to let our fans know to vote for Corey! Our PTSI family rallied together to get the word out and to get those votes coming in. 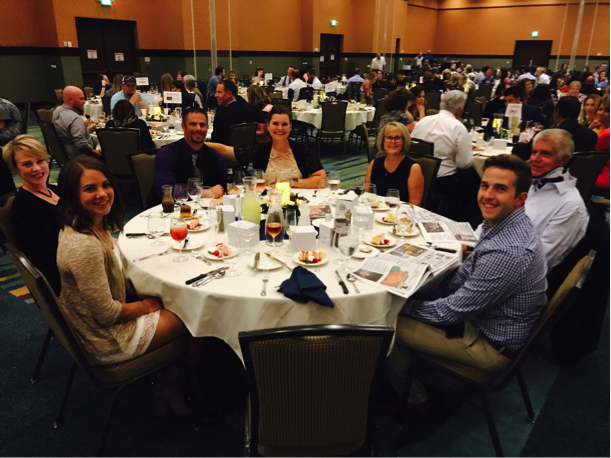 Our PTSI family works extremely hard to ensure that our patients have the best care possible. This was a win not only for Corey, but also for all of the staff here at PTSI. We take extreme pride in our work and value each and every one of our patients. We are a family and when one of us is successful, all of you, and us, win! 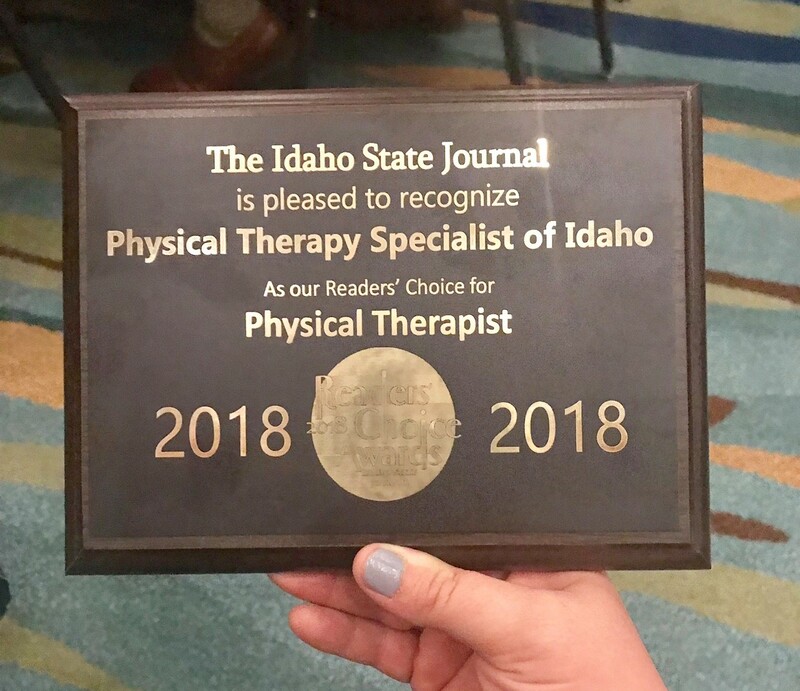 We are so thrilled that Corey won Favorite Physical Therapist! 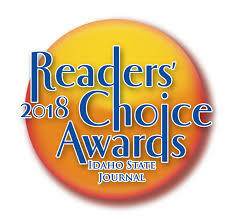 The Idaho State Journal’s Readers’ Choice Awards is an event held because there’s a need for the people of Pocatello to express their appreciation for what local businesses offer to them. It’s an honor to know that we are Pocatello’s favorite! 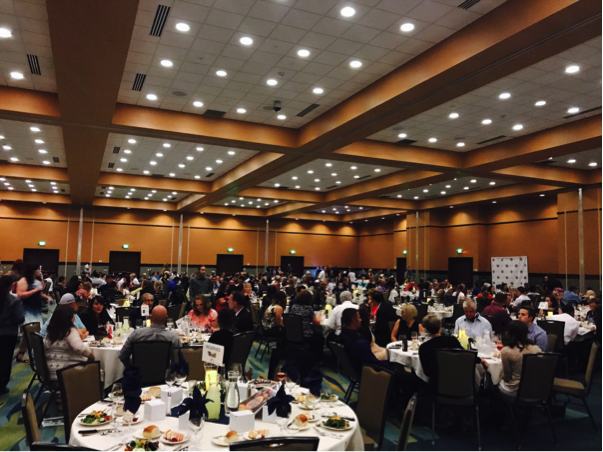 The award ceremony night was filled with lots of excitement! At one point the building was even evacuated due to a possible fire in the building. All the attendees were asked to leave the event center for a short time. 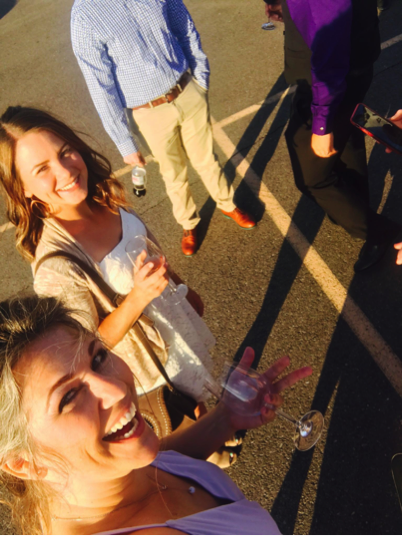 As we all met in the parking lot with our drinks, we decided to have fun outside while we waited for the all clear. We talked and laughed with the neighboring business owners while an Idaho State Journal photographer snapped photos of the fun! We made some new friends in the process, which in the end in good for the soul as well as for business. 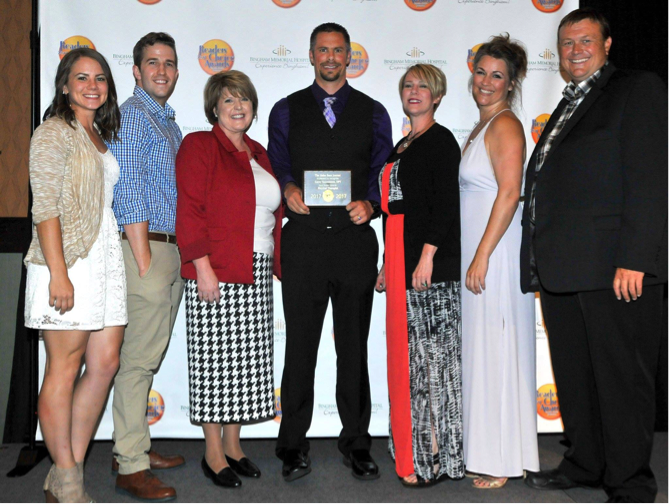 Thank you so much Pocatello for voting for Corey and PTSI as your favorite! We are so honored, and we value each and every one of you.